This beautiful fine-art print includes photos of the the city's name in a wide variety of sizes, shapes, colors, and materials. Printed on heavy gloss paper, this 18"x24" standard poster-sized print is perfect for framing, and includes a legend identifying each photo's county. 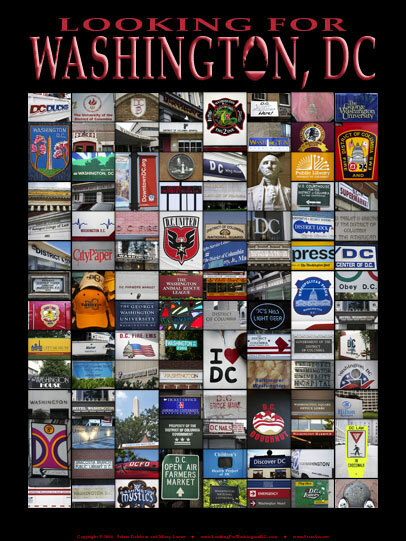 Looking For Washington, DC is a statement of pride in Washington, DC, and makes a wonderful gift for anyone who has lived in or visited the District Of Columbia.